Spy photographers and videographers happened upon a small fleet of Mercedes-Benz A-Class prototypes testing amid the damp conditions and crowded roads around the Nürburgring. Wearing thin coverings. It’s believed these examples are either production or near-production ready, but that didn’t dissuade drivers from taking to the track for some aggressive looking test laps. After a few shots of cars outside the track, the drivers move to the course for a bit more exercise. The next A-Class is expected to officially debut in the spring, and it should offer a step up for Mercedes in terms of both luxury and performance compared to the current model. It’s also expected to be a tad bigger overall, with more space in the interior for people and things. It will carry a host of luxury and tech items packed into an all-new dashboard, including the latest driver assists and the company’s Command 5 infotainment system. The new A-Class is also said to offer Level 2 autonomous driving. Power will come from a 1.4-liter gasoline engine developed in conjunction with Renault, at least initially. There reportedly are plans to also offer larger 1.6 and 2.0-liter gas engines, as well as a hybrid model. 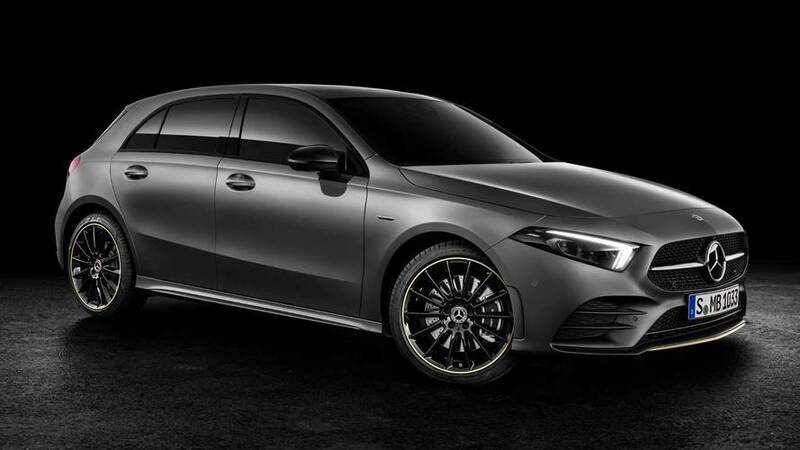 And though we’re watching hatchbacks being flogged around the Green Hell, a sedan is also said to be in the works, not to mention the Mercedes-AMG A45 that could ultimately pack a 400-horsepower punch. The A-Class will compete with the BMW 1 Series, which suggests pricing for the new mini Merc should start somewhere in the mid-to-upper $30,000 range. The lineup should kick off with the five-door hatchback in March, followed by the sedan and the AMG A45 in 2019.